In a duel that can be the marquee European match-up for many years to come, the Greek Freak prevailed over the Slovenian sensation. 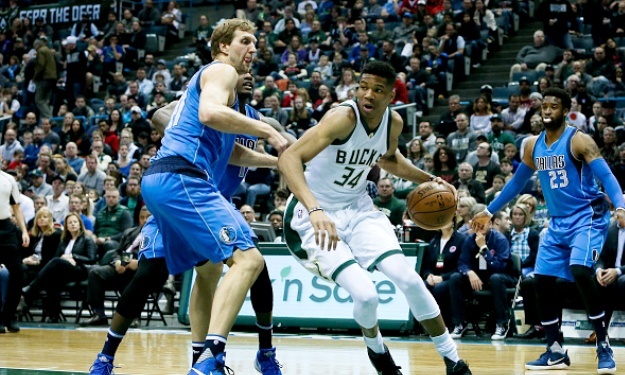 Milwaukee Bucks‘ MVP candidate, Giannis Antetokounmpo, had another strong performance as he dropped 29 points in a 120-103 victory over Luka Doncic (20 points) and the Dallas Mavericks. It was a game full of Euro-flavor since icon Dirk Nowitzki was also on the court and Kristaps Porzingis was also in the gym as a spectator.